Hinduism is a way of life, a process that keep intact a million of people throughout the world especially India and Nepal. Hinduism has been the world's oldest civilization. Some historians says Hinduism is a 5500 years old culture, some says it is a continuous extension of universe but what exactly they mistook is the comparison with a religion. Hinduism is not a religion, it infact is a way of living, Hinduism is a scientific process of living a peaceful life. Of all, Hinduism is a very tolerant religion and gives you a freedom to attain wisdom in your own way. Hinduism has a variety of thoughts to accommodate a variety of views irrespective of a thousands of casts, creeds, culture, languages, habits, but it all maintains Vasudhaiva Kutumbakam - The entire world is a family. If you ask 100 Hindus about Hinduism, you would be surprise to get 100 different answers, that is the speciality and power of Hinduism. But what then is the Central Philosophy of Hinduism? I would try to enlighten the core concept of Hinduism in an efficient way. The infinite was always existed, from that infinite an infinite can be taken out and even then it may remain the infinite only and that infinity is known as the Brahman. - Brahman is a metaphysical concept is the single binding unity behind the diversity in all that exists in the universe. This is the only reason why all Quantum Physicists try to studying Hinduism in a most moderate way as the concepts are Universal, Scientific and Researched. - Atman is a part of Parmatman which can neither be created and nor be destroyed. As a human changes his clothes and wear new clothes but it doesn't changes the identity of that human, same way we human have many births. Atman enters a body, stays in it until he dies and than moves on to a new body. This is the process of Reincarnation and it happens when Atman enters Prakriti (Nature) or Sansar. Scientifically, Atman is known as Spirit or Energy and Sansar or Nature is known as Matter. This energy and matter are incontrovertible as per Physics too. Quantum Physics explains the whole theory with proper scientific proofs. This all was already mentioned in Vedas thousand years back by our honourable and spiritual Saints, Sages and Gurus. That is the main reason why all Quantum Physicists are inclined towards Hinduism in the later phases of there research. Hinduism and Sanatan Dharma has all the solutions to every problem in the world. Reincarnation is the concept which explain that a body dies, but the soul remains forever. Body is temporary but Soul is eternal. A body acts as a Car and the driver of this car is Soul. When we die, the identity changes to Body instead of our name because something was there who was driving this body, which is no more. A person who was having his own thought when he was alive is no more when he dies, so where does all the thoughts gone? It was soul which acts as a driving force and now moving on in the Sansar as per the Karma record. Reincarnation is the basic and unique concept of Hinduism which keeps the Cycle of Birth and Death as intact. No other religions accepts the concept of Reincarnation but Science itself has proved now that Energy and Matter are inter-controvertible. Renowned scientist Albert Einstein has proved this in his Classic Theory of Relativity about the formula of Energy and Matter conversion. E=mc2. A recent experiment in the world's biggest experiment of Large Hadron Collider came out that when two high energy collides it generates mass, hence they named it as God Particle (Also known as Higgs Boson). We also know that there are a lot of stories where a person remembers everything from his past life, it is an evident proof to prove the Reincarnation. Law of Karma is the ultimate Law of Cause and Effect. In common words, As you sow, so shall you reap. You have the right over your deeds, but not on your results. Krishna says to Arjun while delivering the classic lecture of Gita - Arjuna, do what is true for you and don't get biased by your thoughts. You have to perform your righteous effort and the result would be accordingly. Krishna suggests to perform the real duty and does not depends and pre conceive on the end result. Whatever happen will surely happen, Whatever is gone is gone. You are the self divine, self power and self concious, and you have all in you to achieve whatever you desire. Law of Karma is the one and only concept of Hinduism which drives the whole base of Sanatan Dharma. Whatever shall happen in the future, shall happen for the good only. Do not weep for the past, do not worry for the future, concentrate on your present life. What did you bring at the time of birth, that you have lost? What did you produce, which is destroyed? You didn't bring anything when you were born. Whatever you have, you have received it from the God only while on this earth. Whatever you will give, you will give it to the God. Everyone came in this world empty handed and shall go the same way. Everything belongs to God only. Whatever belongs to you today, belonged to someone else earlier and shall belong to some one else in future. You are an indestructible Soul & not a body. Body is composed of five elements - Earth, Fire, Water, Air and Sky; one day body shall perish in these elements. Soul lives forever even after death as soul is never born & never dies. So Why do you worry unnecessarily? What are you afraid of? Who can kill you? Devote yourself to the Almighty God only. One who takes the support of God, always gains freedom from fear, worry and despair. Sattva is the state of love, balance, joy, harmony, intelligence, holy nature, purity and positivity. This is the best state where a person can attain the liberation to the divine consciousness. To attain sattva, we need to eat satvic food which is completely vegetarian and vegan. We also need to develop positive attitude towards life and everything and get joy in everything.Practising Yoga is the best remedy to attain the supremacy. Yoga in itself means yog (complete, to add) of Brahman and Atman. Rajas is the state which is neither good nor bad. A tamsic person thinks of himself and is egoistic, self driven which binds him to develop attachments with the world and karmic fruits. He is a person who drives on the tendency between good and bad as per the situation. To avoid this Tamas Guna, a person needs to control mind, meditate, eat satvic food and avoid fried and spicy foods, do yoga and exercises and be positive. Tamas is the state of imbalance, disorder, negativity, impurity, delusion, inactivity and materiality. A tamsic person is ignorant and deludes everyone from the spiritual paths. Tamsic mentality is violent one and a person loses his knowledge of thinking. Naxalites, ISIS, Taliban are all tamsic mentalities which want to destry the world. A tamsic person should avoid tamsic food like Meat, processed food and be with the thoughts of God and positivity. Brahman is the only spiritual truth and rest all matter is untrue. Jiva (Atman) and Brahman are no different and this is the understanding the correct shastra. This is proclaimed by Vedanta. Maya is just an illusion. Under the influence of Gunas and Maya, the Soul is mislead and mistaken as body itself. Our senses makes the destructible world a reality and we seem to enjoy every moment of our egoistic identity and this material world. We loses our unified vision and sees the world as a subjecive reality and we cannot discern the reality with our limited consciousness. This is the same situation as the mirage of an oasis in the desert, where we feel thirsty and sees water a little further but when we reach there, it too moves further. Our habitual view of the world makes this dream to be viewed as reality. We see everything around us and we come habitual of those things, hence we neglect there presence. This is the biggest game of Maya that we understands the dream a reality and this material world as a permanent truth. We work like we live forever and we die like we lived never. We are losing the ultimate goal of liberation, we are losing our unified vision, we are losing our mind and its control. We all are fallen in a great trap of Maya and it has developed Moh (attachment) towards the matter. Brahman is the supreme consciousness and the cosmic reality and it is the perfect truth. This Brahman created the universe with the sound of OM while Maya is the echo of that sound and we think that it is real but echo lasts in some time. The ne Brahman is reality, the multiple echoes are illusion. One Sun is reality, reflection of that sun in every pot, lake, river, ocean is illusion. We need to move ourselves from this deception and attahment and move towards the truth which is the only goal we should have - To liberate ourselves. Moksha means liberation and salvation from the Cycle of Birth and Death. Under Hindu philosophy, Moksha is the ultimate goal of life. Life is a suffernig and Moksha is the ultimate solution. Every human should ignore the material reality of Maya and Prakriti and inspire the Atman (The Soul) to attain the Brahman. There are 2 sects of attaining the same - Advaita (Non Dual nature of Soul) and Dvaita (Dual nature of Soul). Advaita suggests that the Atman and Brahman are no different, its like a drop in an ocean. When they mix we cannot differentiate that. Whereas Dvait refers to the dual nature, like a parrot on a tree, though it does not make much difference as both are green in color but we can however identity them as different. Both are the ways through which we can attain the liberations as anyhow the ultimate goal is to become Brahman himself as we are no different. 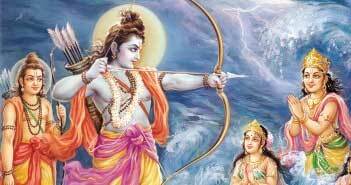 In Gita, Krishna suggests Arjuna that one should surrender with full faith to me and I will liberate you from all the sins and the Moksha is assured. Dharma is the path of being righteous and following the set of rules, performing religious duties and living life according to the course of conduct. Dharma should not be mistaken as religion as it has no direct translation, it means to hold together woth the same set of duties and act. Dharma depends on the social expectations and the level or age we are at. A child's dharma is different than his parents, A wife's dharma is different than her husband's. This is a Hindu system where positivy of order is maintained to manage the system moving forward. Dharma makes a person's life as more disciplined. This helps us to be positive, joyous and happy which ultimately helps in attaining the union with the supreme reality. The root od Dharma is Peace - within and without. Vasudhaiva Kutumbakam means Unity in Diversity, the whole world is a family. This is the philosophy with an understanding that there is only one unique supreme consciousness, that is Brahman and we all Atman are there parts only. This is a Father Son relationship. We all share uniqueness in this way. We may have different cast, creeds, society, races, culture, traditions, skin color, but in the end we all are same. All these diverisities are unified. We are in a relative world where the point of reference may be changeable but the supreme reality is always the same. The same is the concept of Theory of Relativity. Inside the train, we see the world moves backward and we are static, but an outsider sees the train as moving and he seems static. Both are in a state of contradiction and ignorance being aware that the earth is moving, our solar system is moving, our galaxy is moving and everything is getting shifted from one point to another at every moment and every point of time. Hence we should be aware that we all are the same with a unique goal. Our unique goal should be that everyone should be happy, everyone should be healthy, free from greed and live in harmony and no one should suffer from the misery of diseases. We all are one with the same goal to attain Brahman. Scientists have practically proved the concept of Quantum Entanglement. The term Quantum Entanglement means bringing two photons at the same level of behaviour. The behaviour of one automatically changes the behaviour of the other. In this process both photons come to attain to the same state. Vasudhaiva Kutumbakam is also associated with the Strings Theory, where the whole Universe is said to be connected as an interconnected vibrating web strings network. Supreme Consciousness in itself means that everything is him only. Every action has started from me and will end at me. We always need a medium to move from one state to the other. To attain the supremacy, we need Saints, Scriptures and Gurus. Scriptures are the holy writings, Sacred-Texts, Holy Books in religious traditions. It is generally believed that the Scriptures are the divine revelations of God and Gurus and are also termed as Historical Literatures. Two historical classifications of Hindu Scriptures are Sruti and Smriti. Subclasses of these are Vedas, Puranas and Unapishads. 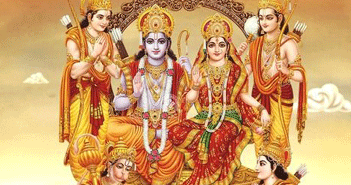 Some of the famous Hindu Scriptures are Ramayan, Ramcharitmanas, Gita. Guru is the term connotes to a spiritual master, teacher who gives the knowledge of truth. Guru should not be mistaken as a teacher as teacher just gives education to all, but a Guru gives knowledge to there disciples considering the nature of every single disciple. Guru gives the direction and catalyses the knowledge of self realization, helps us understands the realm of the material world and how to attain the supremacy. Guru teaches in a traditional school knon as Gurukul. According to the Vedic Philosophy, Guru gives Diksha to there disciples (Shishya) which has to be followed by his disciple very strictly. In earlier centuries, parents used to send there son in Gurukul to attain the best knowledge and develop Spiritual Thoughts. Saint is a person who follows Dharma, who has knowledge and power of directing towards the righteous. He has the likeliness towards the supreme and recites the sacred text, preaches the thoughts written to the masses. As the universe expanded upon the creation into a space time dimension, there was always a need to understand the time. Hindus have developed here own way for time calculation which is precise and quite accurate. This system is known as Vedic Time System. Kaal is an unidirectional movement, from past to future. Kaal (Time )is also referred for Shiva and the energy of that time is referred for his Consort Kali. This is the reason Shiva is also known as Mahakaal. 2. Hold Brahman in your hearts and be him. 3. Create Gods to worship the Supreme being indirectly. Hinduism is the only unique way through which you can form any number of gods, worship in your own way. No other religion gives this freedom. 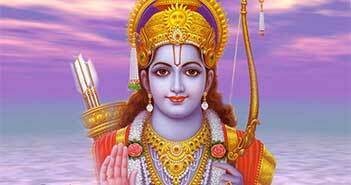 Hinduism is the most tolerant of all religions as it gives the Hinduism of God in your hand, you can praise God, tease God, Love God, Hate God, like God, unlike God. Its because Hinduism understands that the Sun you are creating is just a visible object, not its sunlight. This Sunlight is Brahmin and no one can create, destroy, praise, tease, love, hate, like and unlike the sunlight (The Brahman) as we cannot see it, we can just feel its presence in an indirect way. That is the sole reason Hinduism has so many Gods and Goddess. At the Top level there are Six Gods, then there are many demigods, then at the local level there are various isht dev, kuldevi and other local manifestation of Gods.